The number of scientists weighing in against Australia's controversial shark cull is growing, and today topped 100. Marine biologist and shark expert David Shiffman writes over at Southern Fried Science that not only scientists, but surfers, environmentalists and even the family of a fatal shark attack victim oppose the cull, which began this week with the shooting of a female tiger shark. To express their opposition to the cull, Shiffman and 101 other respected scientists and researchers composed an open letter to the government of Western Australia, calling for an alternative solution. While we acknowledge the need to restore public confidence and provide safe swimming areas for the community, we do not support the proposed use of lethal shark population control measures such as drum lines or targeted fishing of sharks. 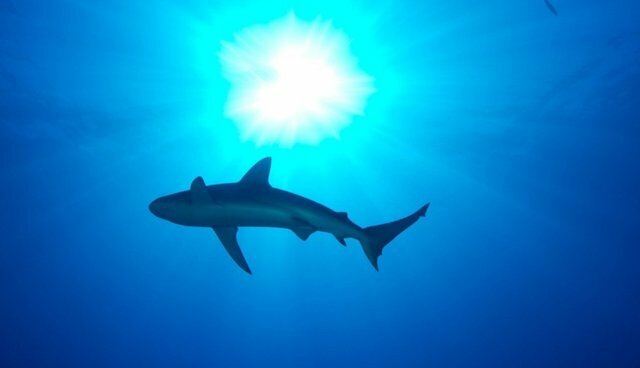 The letter also cites an alternative to culling that has been effective in Brazil, involving capturing, transporting and releasing large sharks farther offshore, a program that "has been extremely effective in reducing the incidence of shark bites in protected areas but without the indiscriminate killing of sharks and other marine life." The scientists offered a program like this, along with increased public education and awareness about the risks associated with entering the ocean, citing the interesting fact that sharks are actually not a swimmer's biggest risk: "Rip currents, for example, are the cause of an average of 21 confirmed human fatalities per year in Australia, compared to 1 for sharks."